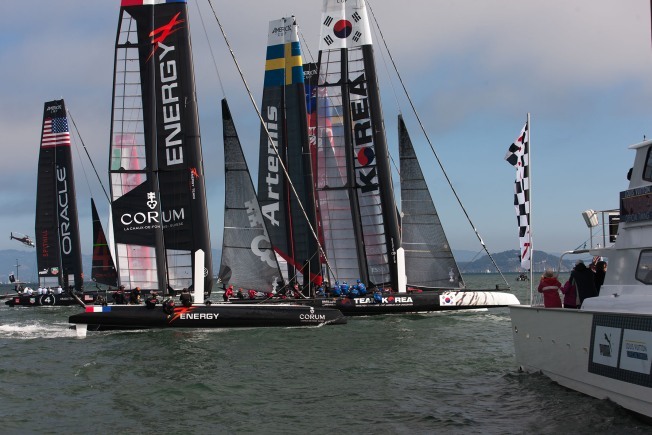 San Francisco officials are racing to raise tens of millions dollars from private donors to pay for security, transportation and the other costs of hosting the America's Cup yachting championship later this year. A spokeswoman for Mayor Ed Lee says officials have raised about $14 million so far of the estimated $31 million to $34 million needed by late summer. Spokeswoman Christine Falvey said Monday the mayor has recently stepped up his own efforts recently to meet personally with chief executives of prominent companies based in San Francisco in an effort to meet the goals. The city aims to pay for the event without having to dip into its general fund. A 2012 report by the city controller's office raised concerns that the America's Cup Organizing Committee wasn't raising funds fast enough to meet the goal.